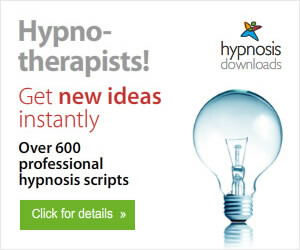 What Is The Difference Between a Hypnotist and a Hypnotherapist? 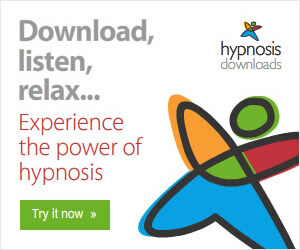 For me the term “hypnotist” refers to someone who has learned how to hypnotize someone and is capable of leading others into a trance state, whether for entertainment purposes or for the basic problems, the “bread-and-butter” of a hypnotherapist’s work eg stop smoking, aid in weight loss, increase self-confidence. Knowing how to hypnotize someone and knowing what to do with them in trance for therapeutic purposes is a world apart. Some GPs follow a short training in hypnosis as an add-on skill but rarely do they follow a full hypnotherapy training. The term “hypnotherapist” means someone who has further training in psychology or psychotherapy so can aid someone who has personal problems, suffers from depression. A clinical hypnotherapist is also trained to help with medical problems eg IBS, skin disorders, high blood pressure, pain control - even hypnosis for analgesia. Personally I trained with the National College of Hypnosis and Psychotherapy back in 1990. The National College of Hypnosis and Psychotherapy has been offering respected, evidenced based and independently accredited Hypnotherapy Training, Hypnosis Training and Psychotherapy Training since 1977. This makes the National College one of the longest established and most respected hypnotherapy/hypno-psychotherapy training institutes in the world. Hypnosis has been an accepted form of treatment in the medical communities since 1955 and 1958 through the British Medical Association, and the American Medical Association respectively. The National College of Hypnosis and Psychotherapy provides Hypnotherapy Training, Hypnosis Training, and Psychotherapy Training. Humanistic: Includes an examination of the theory and practice of humanistic psychotherapy, with particular reference to Carl Rogers' work. The Gestalt approach to therapy is also covered. Freud: Libido theory, ego theory and defence mechanisms. Jung: Analytical psychology. A broad overview, with particular emphasis being given to Jung's theory of the unconscious. Adler: Individual psychology. The effect of parental and environmental influence. The reconstruction of clients' goals plays an important part in this theory. Cognitive Behavioural Psychotherapy: A study of the main experimental bases of cognitive behaviour therapy, their practical application and their relevance to hypno-psychotherapy. Ericksonian Techniques: A complete weekend is devoted to a Foundation Course on aspects of the contribution of Milton H Erickson. During the course emphasis is placed upon the application of both the theory covered in the lectures and the practical skills acquired. Thus, for instance, students are presented with actual case histories, and by means of class and group discussion, are given the opportunity to apply their knowledge in the formulation of treatments. I have also taken further training in hypnosis, Eriksonian hypnosis and trained to Master level as an NLP practitioner. My passion is Personal Development. I believe the people who I can help will find me. Indeed, clients sometimes say that they have been to psychologists, psychotherapists or psychiatrists for an extended period of time (and financial commitment) yet have only made real progress with me. One woman recently said after just two sessions that her life has changed forever. She described me as the most powerful person she had ever met. I am not claiming to be the best but I know that I touch and change people’s lives. Clients even travel from other countries solely to seek my unique brand of therapy. It is also possible to conduct therapy over Skype with a Webcam at each end. Fees for Skype sessions will be quoted on a personal basis. Antonia Harrison is the English Hypnotherapist in Belgium and Master Practitioner of NLP. As a Master Practitioner of NLP, I learned the fascinating subject of hypnotic language ie how to lead the client to solutions by use of certain words, different viewpoints or simply confusing the conscious mind to give up its resistance to change. This text presents a new approach to the use of hypnotic suggestion. For years, hypnotherapists have used scripts which are aimed at a particular problem, like smoking or weight loss, rather than aiming at the client who smokes or has weight issues. Trevor Silvester suggests that it is not the problem that is the problem; it's the client's unique relationship with the problem that's the problem. The book aims to free you from the constraints of scripts and enable you to use your creative skill to weave subtle spells that empower your clients by changing their model of reality. It presents the science behind suggestion, and the means of using that science to create magical ways of influencing others. Using research from neuroscience, evolutionary psychology and NLP, Silvester covers such topics as: how past learning guides us now, and how misinterpretation of our childhood experiences can shape our present; how much of our behaviour is unconscious and often not in our direct control; the matrix model of behaviour that can accurately map the process of a problem; and how our neurological levels organize our version of reality. "Wordweaving" takes this knowledge and integrates it into a modern understanding of hypnosis to form a step-by-step method for learning powerful hypnotic language. The "Wordweaving" system teaches you how to: aim suggestions specifically at the key points of the client's problem; resolve problems by using the natural trance states we experience while "doing" the problem; and linguistically frame the suggestion using the elegant and subtle language patterns from NLP to give it maximum impact. Modern Hypnotherapy involves far more than reading problem-related scripts to clients, it involves understanding the client and using their way of seeing the world to help them with their issue. In "The Question is the Answer", Trevor Silvester shows you how to ask the questions that provide you with the information you need to create hypnotic language patterns specifically for each client, and guide them to finding their own answers to life's problems. Building on the model introduced in "Wordweaving: The Science of Suggestion", you will be able to integrate your suggestions into a model of therapy that guides you from the first appointment to the last, maintaining your focus on the client's outcome, and adapting to the changing situation as it evolves. Using a questioning model developed by his observation of the great Gil Boyne the author shows you how three simple questions can uncover the pattern of a client's issue, and also create their evidence for recovery. How we imagine our future is a key to how we create it. This book shows you how to guide the client to their most fulfilling future - and provides a script based on scientific research that has been proven to increase how lucky we feel. "The Question is the Answer" is aimed at therapists and counsellors who want to improve their ability to ethically influence, develop amazing hypnotic language skills, and have a therapeutic framework that provides the maximum opportunity for creativity, without sacrificing clarity of purpose. Discover the secrets of written persuasion! "I′ve read countless book on persuasion, but none come close to this one in showing you exactly how to put your readers into a buying trance that makes whatever you are offering them irresistible." "I am a huge fan of Vitale and his books, and Hypnotic Writing (first published more than twenty years ago), is my absolute favorite. Updated with additional text and fresh examples, especially from e–mail writing, Joe′s specialty, Hypnotic Writing is the most important book on copywriting (yes, that′s really what it is about) to be published in this century. Read it. It will make you a better copywriter, period." "Hypnotic Writing is packed with so much great information it′s hard to know where to start. The insights, strategies, and tactics in the book are easy to apply yet deliver one heck of a punch. And in case there′s any question how to apply them, the before–and–after case studies drive the points home like nothing else can. Hypnotic Writing is not just about hypnotic writing. It is hypnotic writing. On the count of three, you′re going to love it. Just watch and see." We each shape our own reality. Perceptions and cognitive processes unique to us determine our individual perspective on the world, and we present to ourselves what we are programmed to see. But what if we could change our perceptions and cognitive processes - and consequently our reality? One way of achieving this is by harnessing the powers of hypnotic language. What this work examines are the structures of the hypnotic sentence, and the very cognitive dimensions that allow hypnotic language to be effective in changing our minds. Defining the three facets that allow the mind to be susceptible to Hypnotic Language Patterns, this book puts these insights into practice in case examples that demonstrate the application and effect of hypnotic language. Teaching us how to create the most effective hypnotic scripts, it provides new language patterns that address beliefs, time orientation, perception, spiritual matters and states of mind, and devises new hypnotic language applications that emphasize the importance of "gestalt principles" and "cognitive factors". ...a useful addition to the therapist’s "resource/reference" shelf.